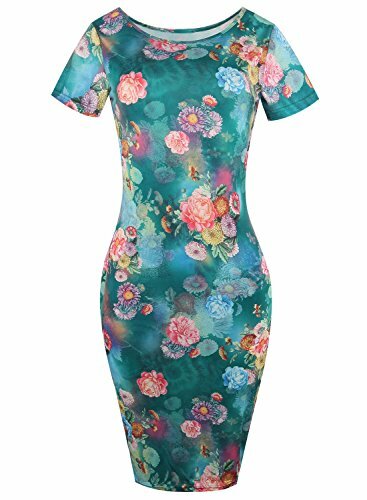 Women's classy floral print slim stretch bodycon pencil work dress. Amazon SIZE chart is not our size.!!! please refer to the "the last picture of the picture slideshow " more suitable for you. This is very popular design, it's simple, fashion and elegant. the dress is really nice and feminine. the length of skirt is enough, not too shorts or too long. you can definitely wear this in special occasions.